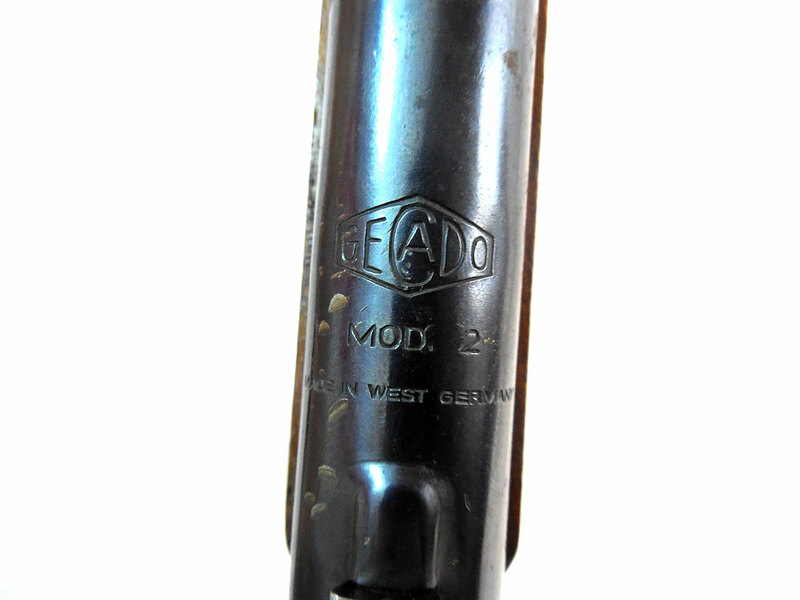 The Gecado model 2 is also know as the Diana model 2. The name Gecado was used by G.C. Harrington in Germany till 1940. It was used in markets for guns made by Mayer and Grammelspacher, which eventually re-branded Gecado into Dianawerk. The model 2 is a .177 caliber push-barrel cocking pistol. The barrel on the model 2 is a telescopic shaped sheet steel frame two part barrel. 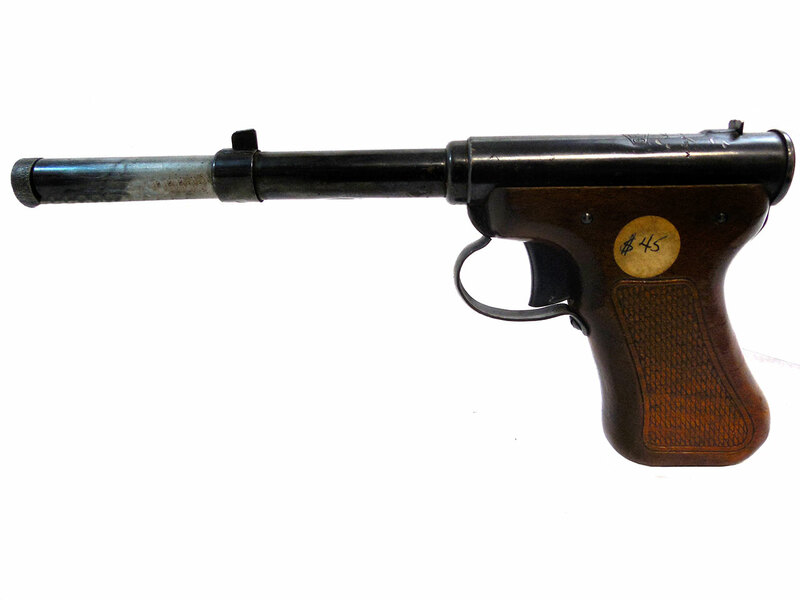 This pistol has fixed sights and wooden grips identifying it as the Model 2 Improved. This gun does not work, and it may not have all of its original parts. 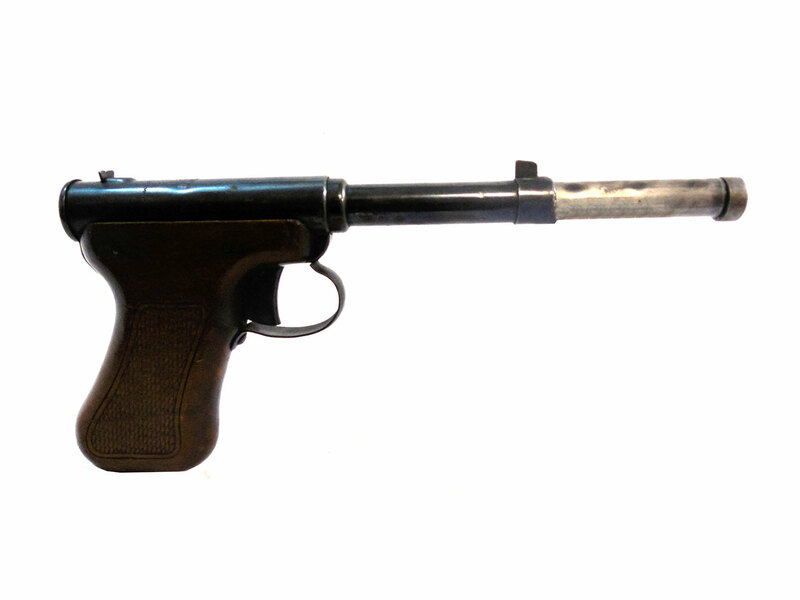 This pistol retains 80% of its original finish,and its wooden grips are in good condition.